I recently came across this awesome looking Linux terminal – Hyper. I could easily describe Hyper as one of the most attractive and light-weight Linux terminal out there at the moment except someone else disproves this. 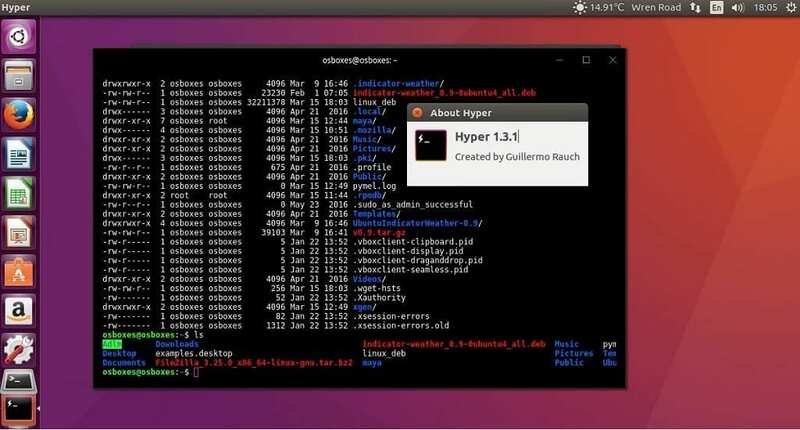 According to the developers, Hyper’s main goal was to create a beautiful UI terminal whilst providing extensible user experience for command-line interface users, as its built on open web standards. The primary key focus right from the begining was to focus round speed, stability and the development of the correct API for extension authors. While this had been achieved, the long term or future plan is to have a community coming up with innovative additions to enhance what could be the simplest, most powerful and well-tested interface for productivity.